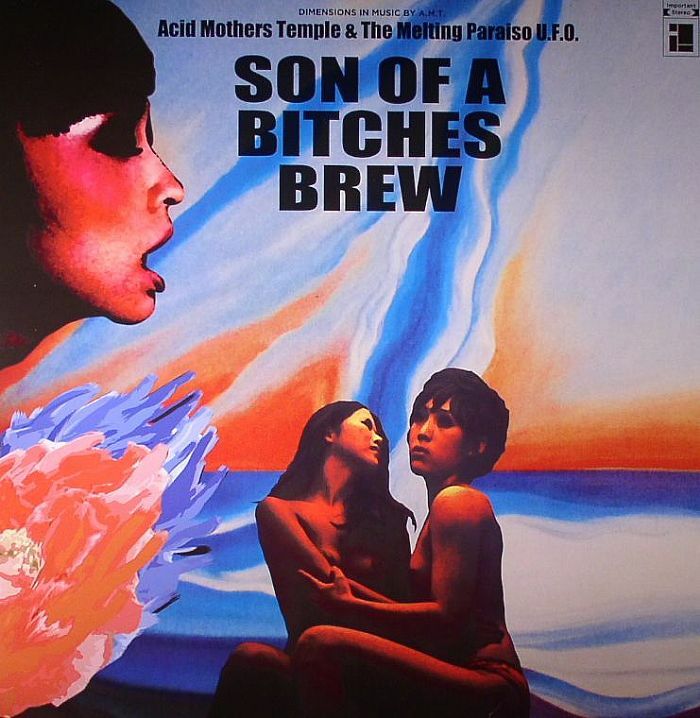 Has anybody ever said, "If you've heard one Acid Mothers Temple album, you've heard them all"? My guess would be that it's been said more than once by more than one person. The basic elements of their sound are so well established, and so often repeated, that's it's impossible to avoid. Long jamming tunes with crazy guitar solos panning left-right, warbly synthesizers inspired by old sci-fi movie sound effects, grooves that go on forever... you know the drill. But they do have some of the best album titles ever: Minstrel in the Galaxy, Starless and Bible Black Sabbath, this one. In this case, the title is more than just a cute homage to Miles Davis — the music is clearly inspired by that seminal album. In particular, the prominence of electric piano distinguishes this release from the baseline AMT idiom. And there are long stretches where sax is more prominent than guitar, further setting this apart. It's only about halfway into the 17-minute title track that the guitar starts exerting its dominance, floating from ear to ear with wildly distorted noises. The rhythm section has a somewhat jazzier than usual approach, freer than you often hear them. The second track (only 7 minutes!) is much freer and never develops a tempo, but manages to not be too overwhelming, more spacy than thrashing. By now the boundaries have been set, and it's just a matter of the rest of the 73 minutes combining these elements in different ways. There are some nice moments here and there, and also some parts that go on too long. All in all, the positives outweigh the negatives, making this one of my favorite AMT releases. And the cover art is quite well done, echoing the original with an AMT twist.